Got Niagara Falls On Your Radar. A Little Worried Its Just Another Tourist Trap. Useful Local Information - Whether you are here for the day or staying longer, its always nice to know where to find certain local services. 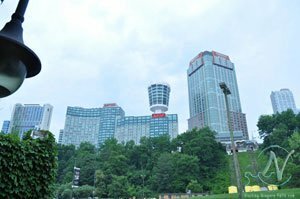 Understandably, most sites about Niagara Falls represent individual hotels and attractions. Its their business, after all. That's great if you know exactly what you are looking for. Not so good for the bigger picture. And other options. Get a butterfly to land on you for that special picture. Avoid the long lines at the favourite attractions. Enjoy the falls and Niagara without spending a cent. The local restaurants that locals enjoy. Take the most memorable Falls picture. There are so many things I want to proudly share with you below about this wonderful area I live in. Through pictures, stories and insider tips discover why Niagara is so special. 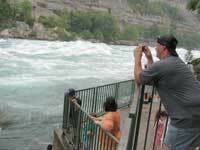 Take that memorable picture, enjoy that picnic by the falls and find out why so many visitors come back. After all, Niagara hosts about 10 million visits every year. 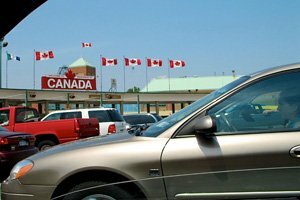 If you are visiting Canada this is what you need to know. Niagara is accessible by car, bus, train and even small planes. Read More. There are so many places to stay, and some are quite reasonable. Explore the river and gorge. Take a step back in history. Enjoy the bustle and energy of Clifton Hill. Or a leisurely wine tour through Niagara. Read More. Enjoy a memorable meal or just something to tide you over. It's all here! And in all price ranges. How close you are to the falls can also be a factor. Find that grocery store, beer or liquor store so you can plan a picnic or just relax in your room. If someone is sick, the 24 hr pharmacy is close at hand. Niagara has now become well known for its vineyards and award winning wines. Enjoy a wine tour and you will really get a special understanding of the diversity and quality of Niagara's many wineries. Niagara is a constant photo-op. There are so many things to enjoy and I am constantly clicking away. Lose yourself in our gallery of pictures, and then some more pictures. With a quick visit to the Beer or Liquor store (yes they are sold separately, although you can buy 6 packs of beer at the Liquor store), you can relax at your accommodations after a hard days sightseeing, if you so choose. There are convenience stores throughout town and even a 24 hour Pharmacy in case of a late night emergency. This is a wonderful area to rent a bike and just go for a ride along the Niagara River Parkway as you follow the river either above or below the falls. With public transportation it is easy to get around town and, of course, there is the People Movers buses that cover the places that you don't want to miss.